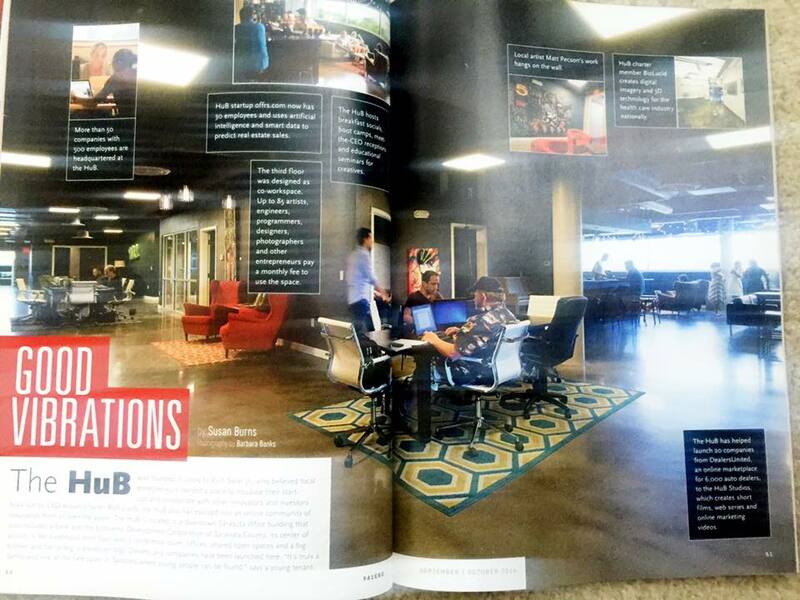 Great feature on The HuB Sarasota in 941 CEO Magazine written by Susan Burns. The HuB owners, Assunta and Rich Swier, have been so gracious allowing me to hang my artwork all over their walls. It truly is a special co-work office space where innovative work and ideas are being created every day. I'm so lucky to be a part of it! I got a small feature in the article as well! !